The rugged Sierra Wireless AirLink GX450 LTE mobile gateway router works great for delivering mission-critical communications for in-vehicle applications. Only international carriers are approved for the AirLink GX450 wireless gateway modem. To ensure reliable and secure broadband data access for mobile users in the field, this wireless modem extends the enterprise network, and management, to the fleet. The AirLink GX450 LTE mobile modem has conformance to shock, vibration, thermal shock, and humidity at Military Spec Mil-STD-810G. Sierra Wireless AirLink GX450 4G LTE mobile gateway router for rugged use that deliver mission-critical communications for in-vehicle applications. AirLink GX450 wireless gateway modem is approved for AT&T only. 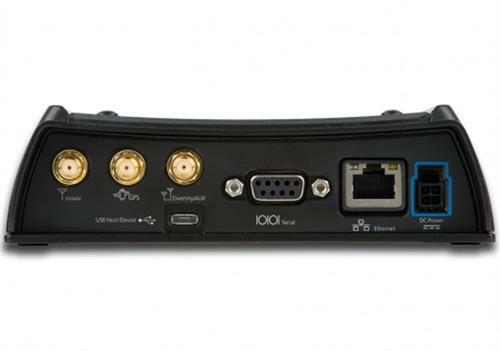 Sierra Wireless Airlink LS300 is new, ultra-compact, intelligent modem with an Ethernet port, a serial port (on the side) and also contains a GPS receiver. 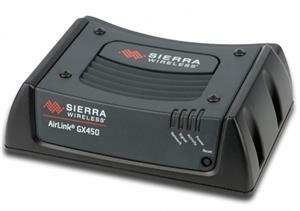 Sierra Wireless AirLink LS300 available only for the Verizon and AT&T 3G cellular networks. AirLink GX450 Mobile Gateway from Sierra Wireless now supports advanced vehicle telemetry that allows large organizations and fleet management solution providers to rapidly develop applications that reduce operating costs, streamline operation and more.